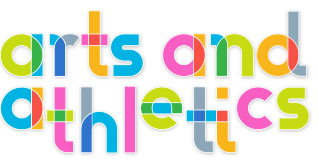 Arts and Athletics Afterschool provides high-quality enrichment classes as well as academic support for children at PS 9, PS 84, PS 166. Our mission is to benefit our school communities by offering a wide range of educational opportunities, both physical and intellectual, in a safe and supportive environment. A common thread running through all of Arts and Athletics Afterschool’s activities is that they are interesting, engaging, and challenging. We encourage students to utilize and develop their skills in all of our classes. Whether it’s Creative Writing, Science Experiments, 9 News, or Bookclub, kids learn for their own enjoyment without school-related pressures and grades. Similarly, the emphasis in our sports programs and other physical activities is on the fun of playing as opposed to the stress of competing. At Arts & Athletics, we believe it is important that kids get the exercise they need, an understanding of the rules and strategies of the games, develop their individual skills and, most importantly, learn the social values of cooperative play. Classes are taught by certified teachers and subject area specialists who are both qualified and really enjoy the subjects they teach.